UltraTuner is precise to a 1/100th of a cent, far beyond human perception of pitch. In fact, it’s 10 times more accurate than a mechanical strobe tuner (considered the “gold standard” of tuners). 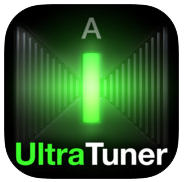 UltraTuner’s accurate pitch detection is achieved through a proprietary dual-analysis processing engine, which allows it to get a much more accurate reading of the frequency from the incoming note than most other tuners. UltraTuner’s fast response makes tuning a mechanical instrument a breeze. Its extreme precision also makes it the perfect app tuner for intonating stringed instruments like guitar or bass, as well as for calibrating electronic instruments like vintage synths. UltraTuner’s speed and precision provides players and engineers with a pocket-sized professional instrument tuner that’s always with them. It offers two basic modes of operation: Stage and Studio. When in Stage mode, UltraTuner is a straightforward, ultra-accurate instrument tuner featuring a unique, simple interface that’s easy to see in low-light conditions. It features a graduated flat and sharp display to indicate degrees from pitch. When the note is in tune, the display turns green. UltraTuner utilizes the entire device screen for tuning, so it is easily visible from a distance on dimly lit stages. In Studio mode, UltraTuner provides wave visualization that gives a qualitative feedback of the pitch deviation as a simple right/left motion of the real waveform of your instrument. A flat note will move the waveform to the left, while a sharp note will move it to the right. 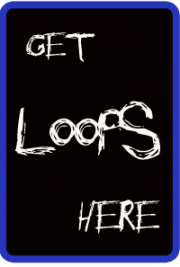 A note whose pitch is dead center is represented by a still waveform. Additionally, by simply tapping on the main studio display, it’s possible to switch to the pitch-tracking visualisation. The pitch tracking visualisation allows players to monitor pitch over time. This is especially useful in the studio for monitoring pitch of non-chromatic instruments like vocals, violin and brass etc., on recordings over time, and very useful for vocal and instrument pitch training. In the settings window, players can quickly calibrate the “A” note, set the temperament type, set the root key for tracking and adjust the audio sensitivity. UltraTuner can use the device’s built-in microphone for audio input, and works with all analog or digital audio interfaces for iPhone, iPad and iPod touch, like IK’s iRig HD, iRig PRO, iRig STOMP, iRig and iRig MIC. UltraTuner is now compatible with Apple Watch so that the Stage mode is mirrored on the watch’s display for quick and easy reference. 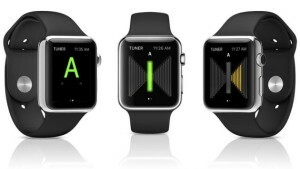 An additional, simpler “note only” mode is available swiping the Watch display.